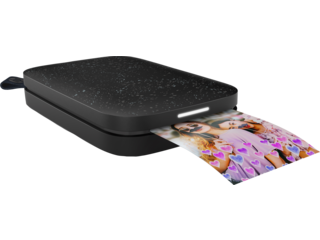 Make the most of your summer vacation or company trip with a portable, Bluetooth® printer. 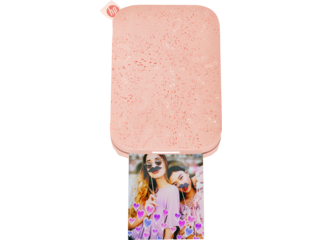 Decorate your office or home with all of the best selfies of you and your friends. HP® offers a variety of Bluetooth® photo printers so that you pick the color, design, and technical specifications that best suit your style and aesthetic. 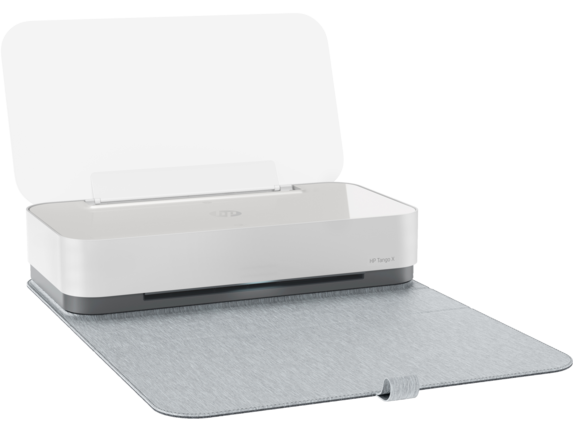 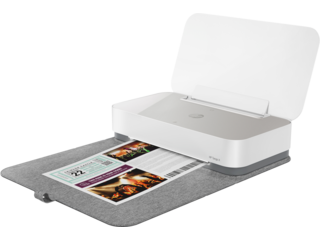 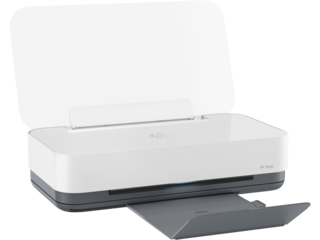 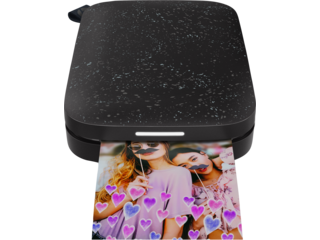 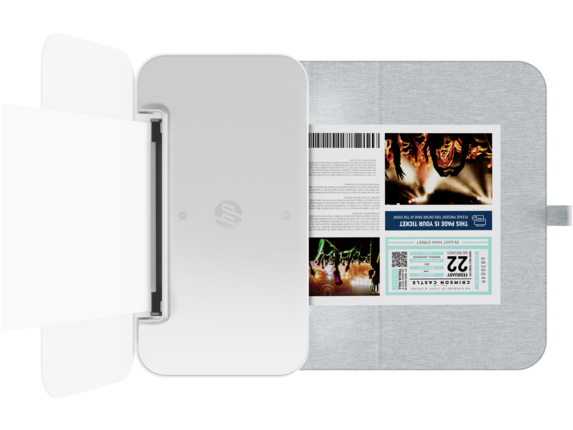 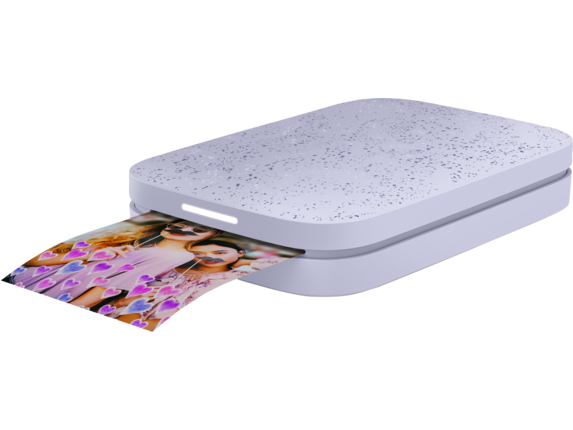 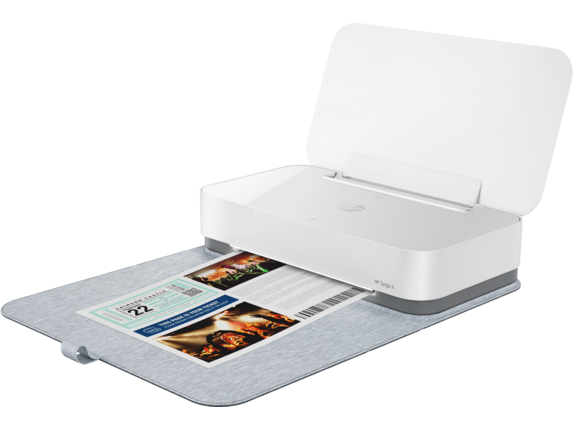 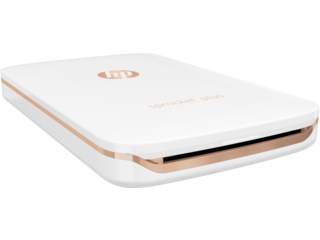 The HP Sprocket Photo Printer allows you to print directly from your phone or tablet while using a Bluetooth® connection. 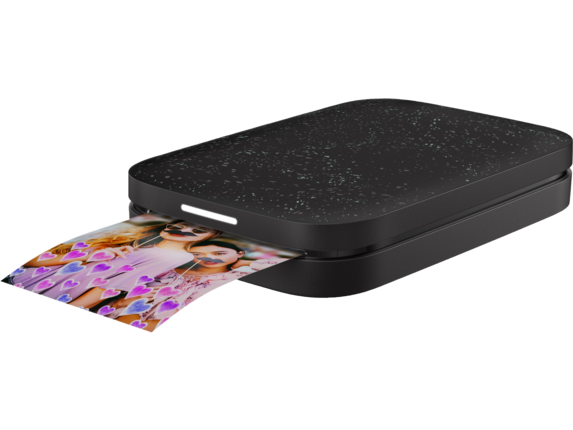 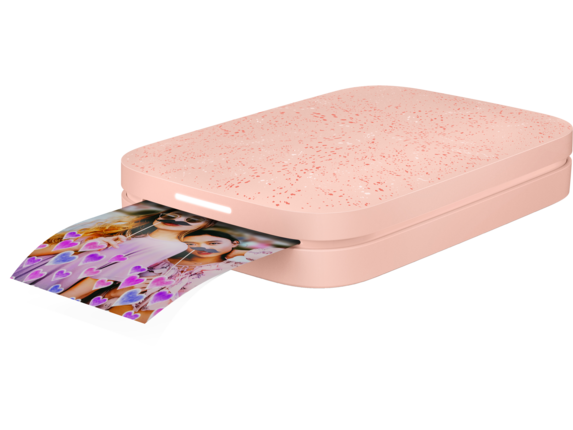 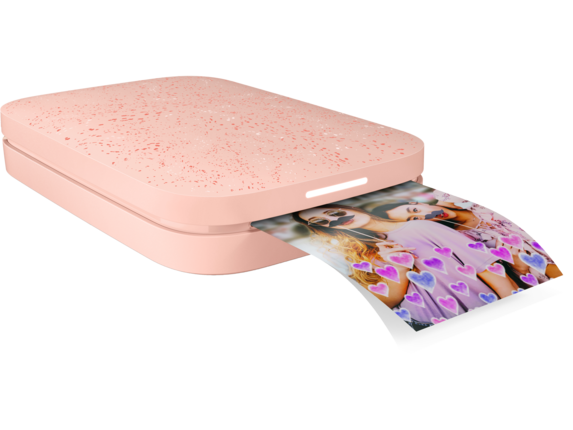 This one-of-a-kind photo printer is the size of a cell phone and easily fits in your back pocket. Impress your friends by taking a selfie together, then print it out for them on the spot. 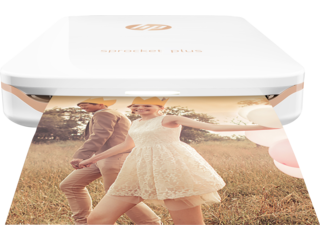 Backpacking and European vacations will never be the same with your HP Bluetooth® printer. The HP Sprocket Photo Printer comes with many features that make it incredibly easy to use. Worried about the battery life of your printer?  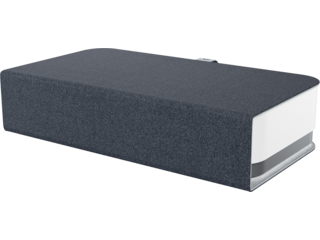 The HP Sprocket has convenient display lights to indicate when you need to charge it, when the battery is full, and if the paper is jammed or needs replacing. 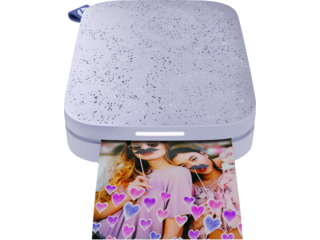 If you see a white flashing image, that just means the printer needs a little bit of time to cool down before being used again. 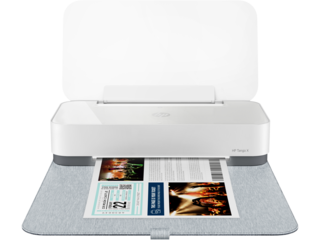 Best of all, you won’t ever have to worry about replacing or paying for ink. 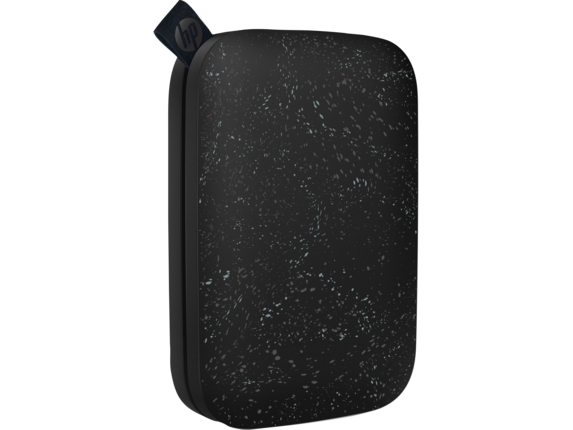 HP Zink photo paper and a fully charged battery are all you need to make the HP Sprocket print. Each piece of photo paper contains crystals that appear as certain colors when heated to specific temperatures - no ink necessary. 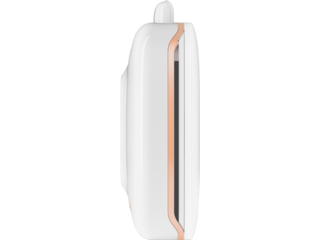 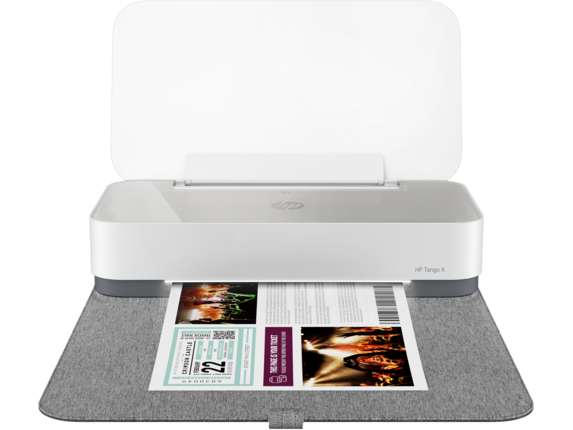 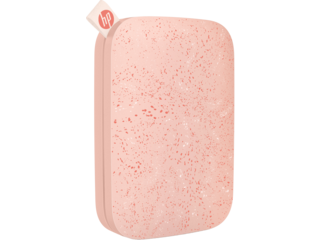 HP Sprocket Bluetooth® printers come in a handful of different designs and colors like white with rose-gold trim. 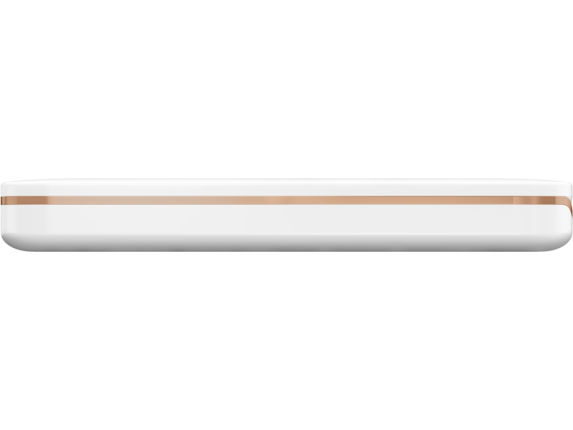 If white isn’t your style, check out the solid gold, red, or black. 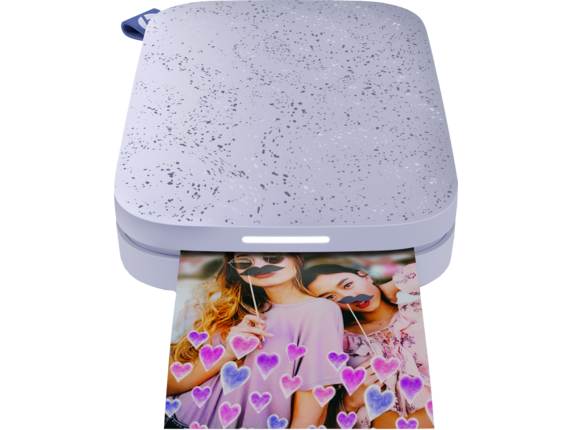 Pick up a Bluetooth® printer that matches your smartphone device or PC if you like your tech to maintain a unified look. If you want your photos to appear larger than life, the HP Sprocket Plus is the Bluetooth® printer for you, since you can print 30 percent larger photos. 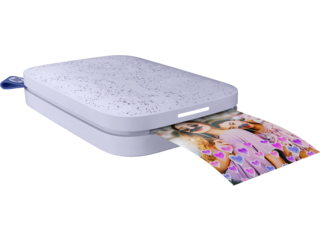 Print 5.8 x 8.6 cm snapshots or stickers, and cherish every incredible moment for years to come. 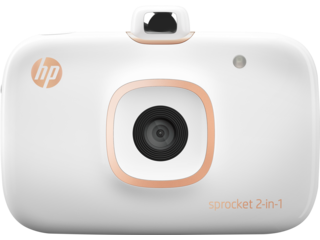 Compatible with both Apple and Android, you can enjoy printing your one-of-a-kind photos by downloading the HP Sprocket app from the app store. Considering this device weighs less than 1 lb, you won’t have trouble taking it anywhere adventure calls. Don’t have the most reliable camera on your smartphone? Don’t worry, the HP Sprocket 2-in-1 camera and printer allows you to take photos and immediately print them right after. 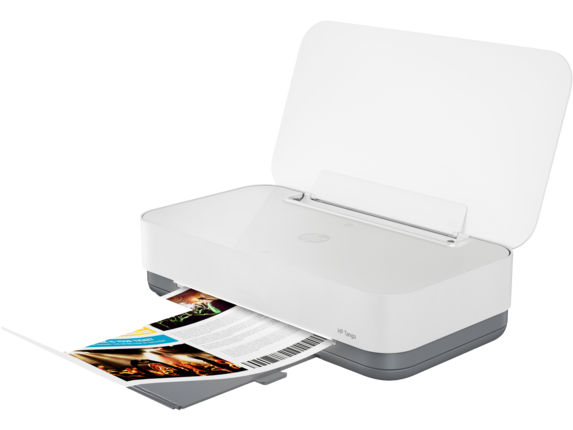 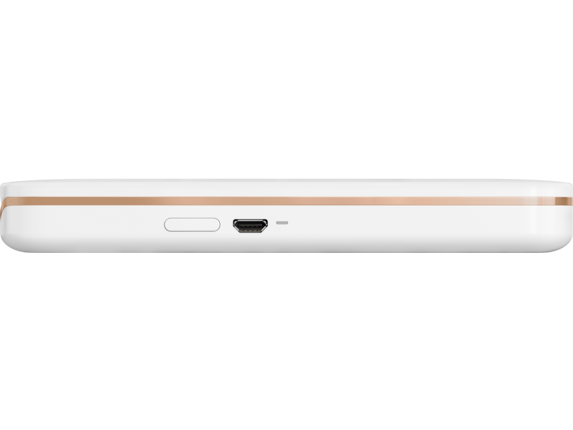 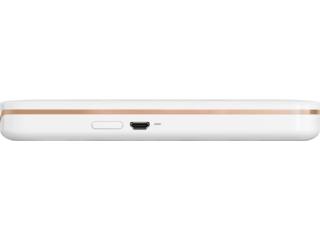 However, this device is still Bluetooth® compatible and will allow you to print photos from your phone as well. 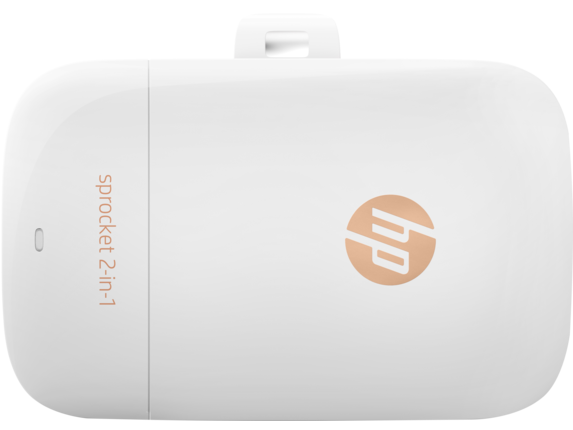 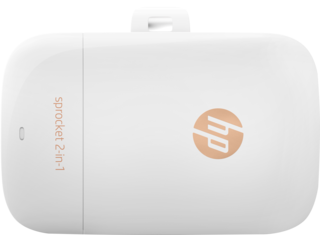 This HP Sprocket 2-in-1 instant camera printer is extremely compact and portable. 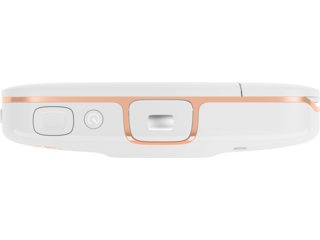 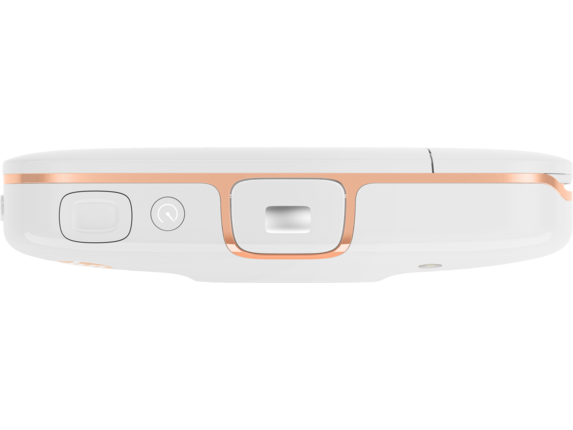 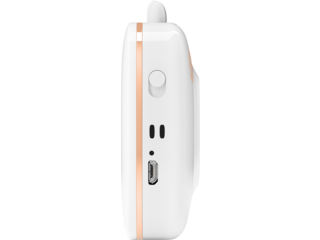 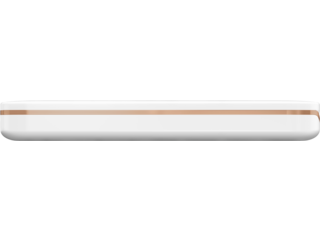 About the size of a cell phone, it will easily fit in your back pocket while you go hiking with friends or hit the beach. 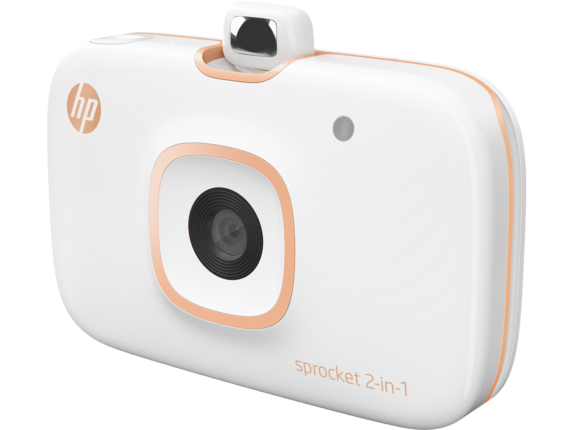 And the photos are 5 megapixel quality so you can immortalize every moment in exquisite detail. 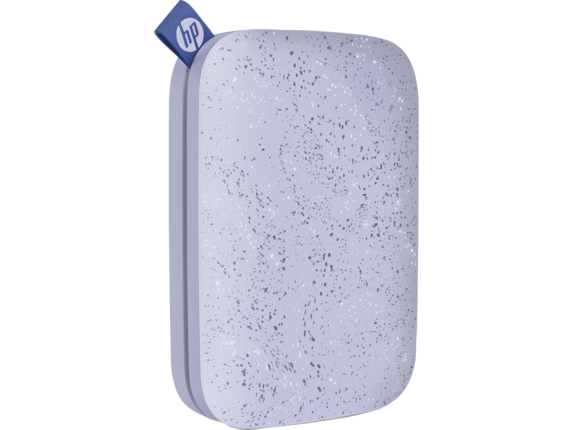 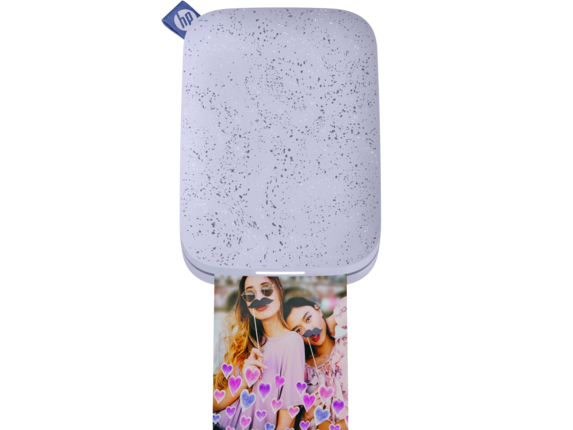 Decorate your notebook or laptop computer with fantastic photos from your summer vacation when you load the HP Sprocket 2-in-1 with a 10-sheet pack of 2 x 3 sticker paper. Additionally, HP? 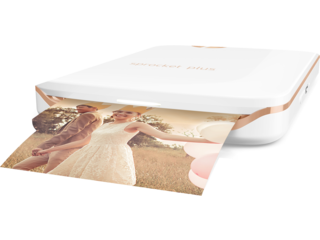 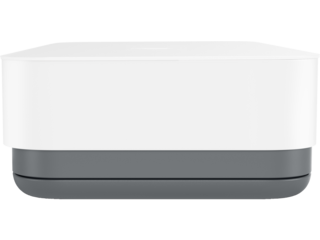 offers an amazing care pack for whatever Bluetooth® printer you decide on. If you want to protect your investment, consider a 3- or 2-Year Next Day Exchange Sprocket care pack. 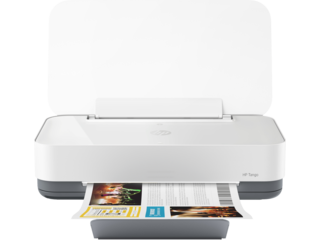 If you accidently damage your printer while out on an epic adventure, send your printer back to us and we’ll replace it the next day.